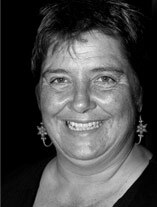 Michaela Clayton is the director of the AIDS & Rights Alliance for Southern Africa (ARASA), a regional partnership of civil society organisations working to promote a human rights based response to HIV/AIDS and tuberculosis in Southern Africa. As a human rights lawyer, she has worked on HIV/AIDS and human rights issues since 1989, first in Namibia, then regionally and internationally. She has co-chaired the UNAIDS Reference Group on HIV and Human Rights since 2011. Michaela was one of the founding lawyers at the Legal Assistance Centre (LAC) in Namibia, where she established the AIDS Law Unit to provide a legal service to people living with HIV and AIDS. While at the LAC, Michaela assisted in the drafting of many Namibian sectoral HIV policies, as well as in the drafting of the country’s national HIV/AIDS policy. In 2002, Michaela initiated the establishment of ARASA as a project of the LAC. Today, ARASA is an independent non-governmental organisation with partners in all member states of the Southern African Development Community. Michaela holds a bachelor degree in law from the University of Cape Town. Some documents are available only in English. Please read our language disclaimer for more information. Copyright ©2004-2019. All Rights Reserved.